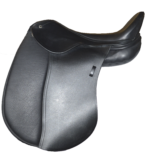 Schleese proudly announces its new Used Dressage Saddle section. Please take a glance at our current availability and if interested in any saddle, please contact info@schleese.com or call 1-800-225-2242 x 41 at head office. 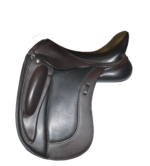 We do have additional used saddles that are not on this webpage that we would be happy to speak to you about as well. On-site saddle evaluations can also be arranged through head office if you wish an 80 point diagnostic analysis. 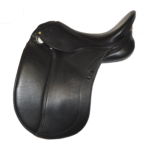 A $159 evaluation fee is applicable and if your saddle requires a tree adjustment and/or flocking additional charges will apply. We had a busy day two at the Mane Event in Red Deer, Alberta. Here we were listening to Jochen Schleese on Saddle Fit for Women for both English and Western Riders. We were honored to meet Jochen. To hear him speak with passion about preserving horse and humans through proper saddle fit was truly amazing.